The laws of Georgia can be very difficult to understand, especially when they are in a foreign language. If you have a legal situation that involves an automobile, truck, or work-related accident, what you need is a lawyer with a wealth of experience who will listen to you and understand your situation then call the law office of William H. Curtis today! William H. Curtis has more than 30 years of experience as a lawyer and can provide legal services in the entire state of Georgia. Legal issues carry greater consequences that may affect your finances, employment, emotions, and health. It is very important that you understand the laws and how they apply to your situation. By hiring a lawyer who is fluent in English and Spanish, you can have the confidence to ask questions and make important decisions. We can explain all the details without the obstacles of a foreign language. Click for information en Español. What will my insurance company do? What will the other guy's insurance company do? What can I do to make sure I'm taken care of by a system that I don't understand? We deal with these questions every day and are able to help guide you through these situations. Contact Curtis Law for a case review. We can explain the process and how we can help. No matter how you make a living, accidents occur while on the job. You have certain rights that ensure due compensation. Often, work-related injuries result in chronic pain issues related to the head, back, neck, and loss of or damage to hearing or sight. Curtis Law will work for the short or long term compensation you need and deserve. Were you injured on the job? 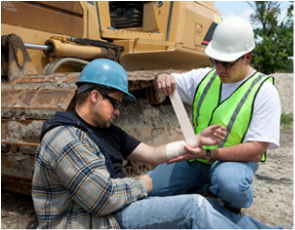 Your employer must have workers' compensation, a type of insurance that pays for medical expenses, physical therapy, and wage replacement for the time you are unable to work. If you need help getting what you deserve, call Curtis Law. If the negligence or misconduct of another person has caused the death of someone in your family, you need the representation of an attorney experienced in Georgia law. We can help you receive the necessary funds to pay your bills and take care of your family after this tragedy. Did you know that one out of every eight automotive accident fatalities involves large trucks such as big rigs, tractor trailers and other commercial vehicles? 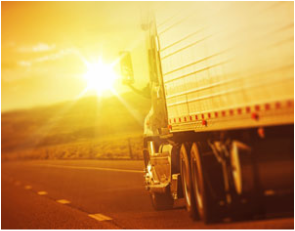 Did you also know that four percent of all injuries sustained in motor vehicle crashes are caused by large trucks? When a commercial truck is involved in an accident, 86 percent of fatalities and 77 percent of those injured are the drivers and passengers of the smaller vehicles. The majority of accidents are caused by human error, mechanical failure, intoxication or even the company’s own mistake in failing to maintain current inspection standards for its vehicles. Regardless of the reason behind the incident, you can rest assured that with the legal counsel of an experienced truck accident lawyer, you and your loved ones will find justice for your injuries, losses and property damage. 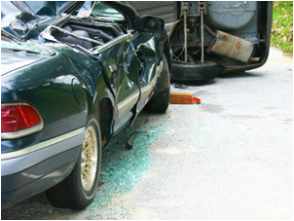 Occupants of cars or trucks have the benefit of the vehicle’s structure to protect them in an accident. 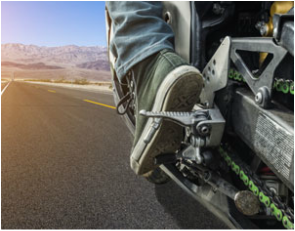 While motorcyclists often have high-quality protective gear, there are times when that gear just is not enough. If a motorcycle helmet is defective or if the impact of the crash is great enough, the protective gear won’t stand up to the road, vehicles, or other structures that the motorcyclist might be thrown into. As a result, motorcycle accidents result in very serious injuries and fatalities. At Curtis Law, we have the experience and resources needed to successfully handle cases involving serious and fatal motorcycle accidents. 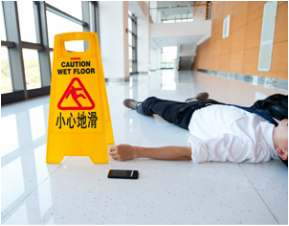 Slip and fall accidents can happen at any time. They can take place at work, at a mall, at a bank, or in a parking lot. Most slips and falls result in minor injuries like cuts and bruises, but sometimes the injuries can be very serious. Catastrophic injuries like head trauma or broken hips can mean living with a permanent or debilitating condition that impacts your everyday life. We can help you protect your rights and get the support you need to rebuild your life and move forward. Contact Curtis Law today for a consultation. has been winning cases all over the state of Georgia for more than 30 years.